I should have retired this apron a long time ago. I was going to. I talked about. 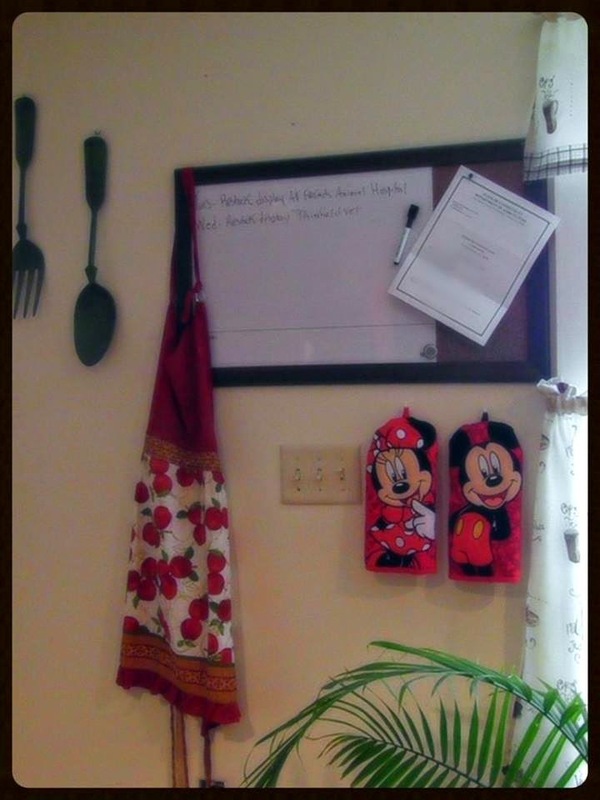 I even had plans to make a line of Bodacious Aprons using dog print fabric. However, life got busy. Those plans kept moving to the bottom of the list. Now, the apron hangs. I barely use it. It's stained. One area is ripped. The neck strap is broken. It was inexpensive and a "one size fits all." I'm not a "one size fits all" kind of girl. It's a decent apron that has served me well, but the make and fabric are more suited for the occasional baker...not someone who bakes peanut butter dog treats and other goodies almost every day of the week. Mounds of dough. Rolling. Cutting. Baking. The peanut butter oil in the dough. The wear and tear are now visible. I need something that's bigger and made of a thicker fabric. I don't bother wearing an apron because I have several shirts that are stained from peanut butter dough. When I bake biscuit love, I make sure to have an old shirt on. 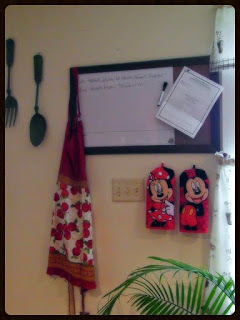 I'm still determined to make Bodacious Aprons. Once fully retired, Ol' Frilly will hang on the wall, quite possibly where it is now, with her dignity still intact and honorable frills displayed.